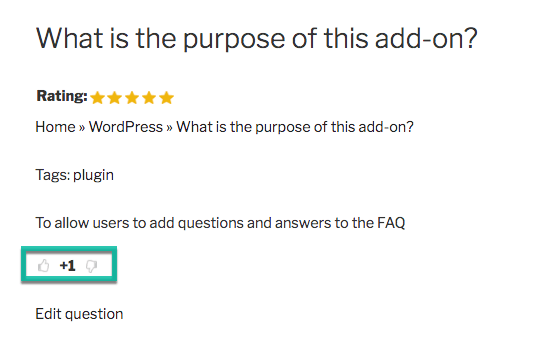 Allow users to add questions to your FAQ knowledge base. 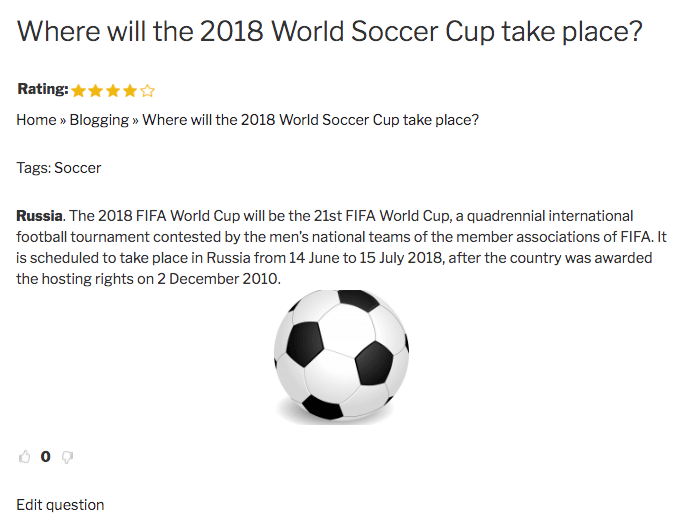 Includes moderation tools, Captcha support and GDPR compliance features, such as a Terms of Service pop-out. Turn your website into a collaborative knowledge base! 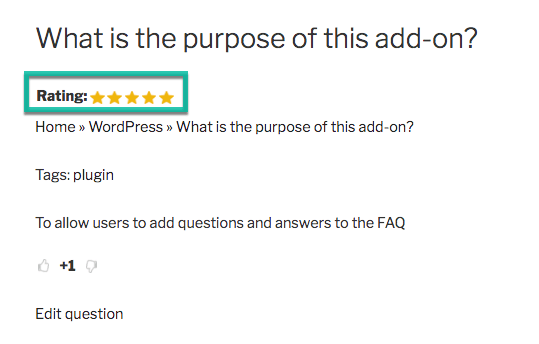 The FAQ Community Submissions Add-on lets users add questions and answers to your FAQ (Frequently Asked Questions). 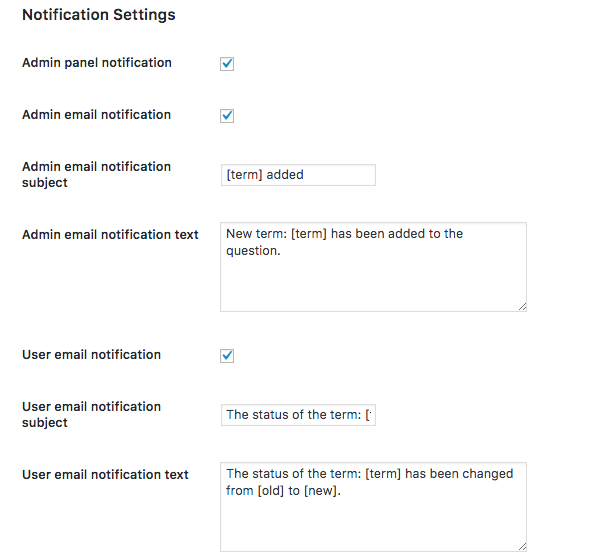 The plugin allows the admin to moderate questions while allowing certain roles to edit questions and answers. 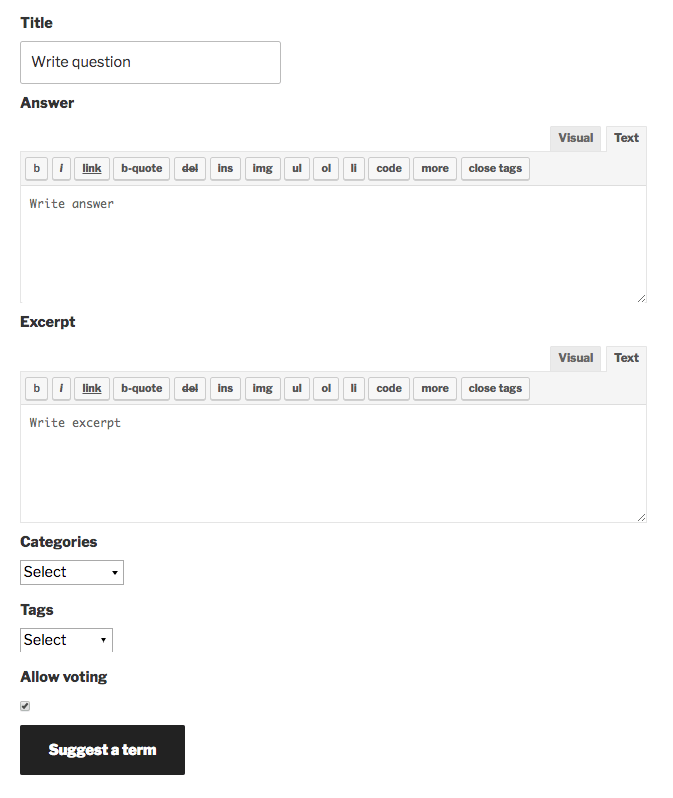 For example: editors might be able to add questions and answers while subscribers are only granted permission to add answers. 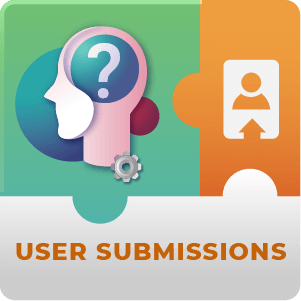 Each user gets a User Dashboard where he/she can manage all submitted questions. 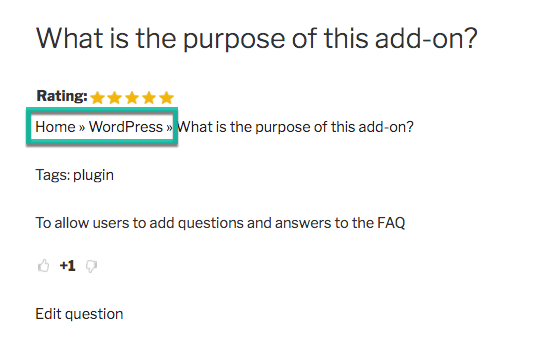 Each FAQ has one answer and can be assigned to different categories and tags. 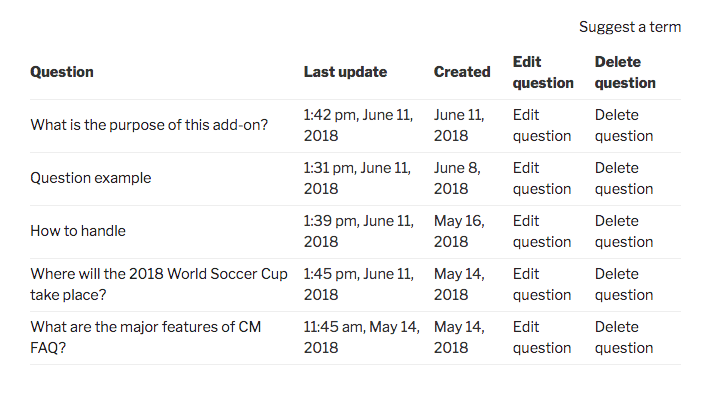 You need to have the CM FAQ Pro installed before using this add-on. Anonymous user posting – Choose anonymous users should have permission to post a question or an answer. Do I need any plugin to use this add-on? Yes. This add-on uses the CM FAQ Pro as a base. 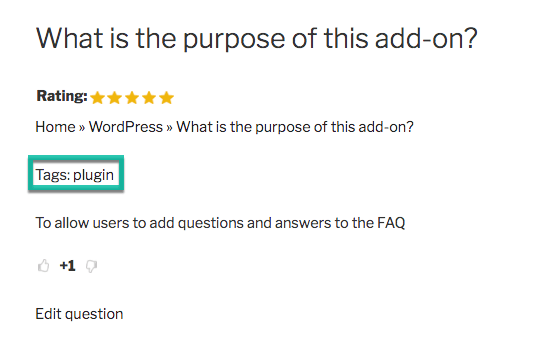 With FAQ User Submission, admins can allow users to add content to their FAQs. This is a powerful resource because it allows the admin to easily outsource the task of creating and maintaining a knowledge base. FAQ stands for Frequently Asked Questions. It’s an efficient method to organize information to users revolving any number of subjects. What information can users add? 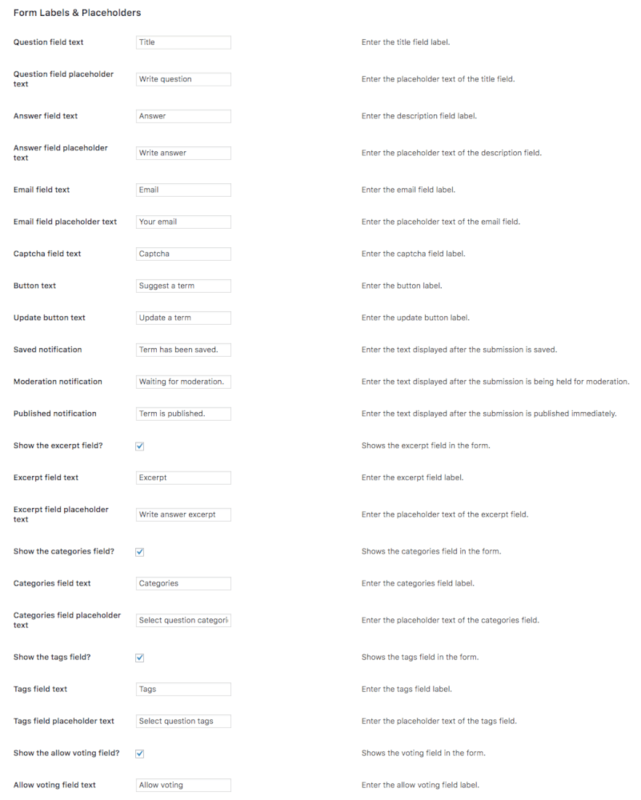 Given the right permissions, users can add any number of questions with multiple categories, tags and vote field. They can also edit the answer of any question. Can the admin control new submissions? Yes. 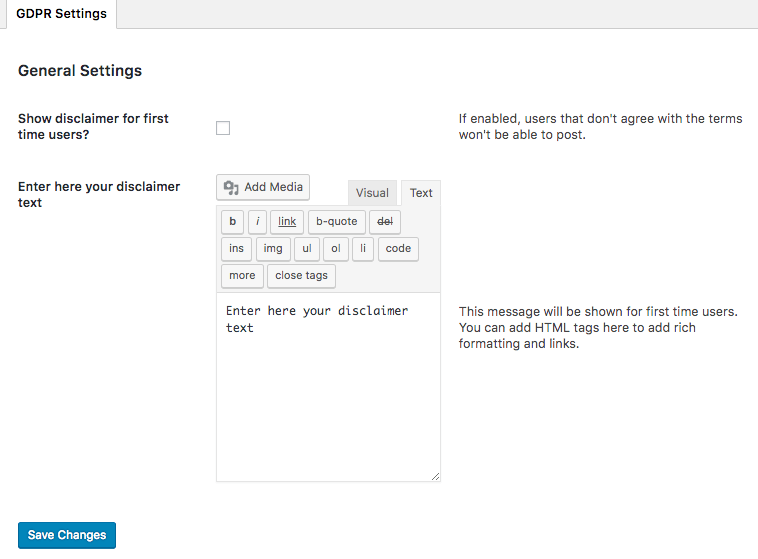 The admin can choose to either allow all edits instantly or to moderate each new entry. Yes. It boasts advanced moderation settings and supports Captcha, preventing spammer activity. Is this add-on GDPR compliant? Yes. It allows users to delete their data should they want and also features a Terms of Service system. You can learn more on the page CM FAQ Community Submissions – User Data Privacy and GDPR Compliance.